Just like the picture and the length was perfect! Experience the darkness, silence and beauty of Eclipse™ curtains. Eclipse blackout panels have been laboratory-tested to block out over 99% of intrusive light, unwanted noise and can help you save on home heating and cooling costs. Eclipse curtains offer a unique blend of fashion and function for any home décor. Transform your media room into the ultimate home theater experience, or create ambiance in your dining area. National Sleep Foundation studies show that reduced light and noise are optimal for a better night's sleep. Eclipse Curtains are perfect for the bedroom, kid's room or nursery, providing the ideal sleep environment for the whole family. The magic is in the Thermaback™ construction. The innovative foam-backing is applied to the fabric and allows you to enjoy all of the light-blocking, noise reducing and energy saving benefits, while providing the same fashionable style and elegance of naturally flowing curtains. Hang two or more curtain panels on a standard or decorative rod for optimal coverage and desired effect. Sold as a single rod-pocket panel measuring 42" wide in your choice of 63", 84", and 95" lengths. Rod sold separately. 100% Polyester. Machine wash gentle cycle, tumble dry, do not bleach. Imported. 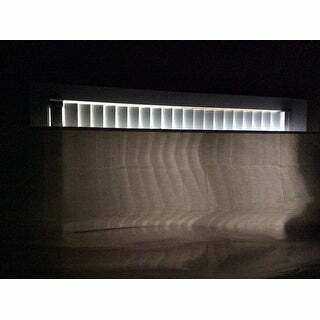 Dimensions 84.0 In. X 42.0 In. X 84.0 In. I purchased in white. Hardly room darkening. Definitely not blackout. I’ve included photos of the curtain with light coming through with blinds behind them on the west side of my home on a cloudy morning. 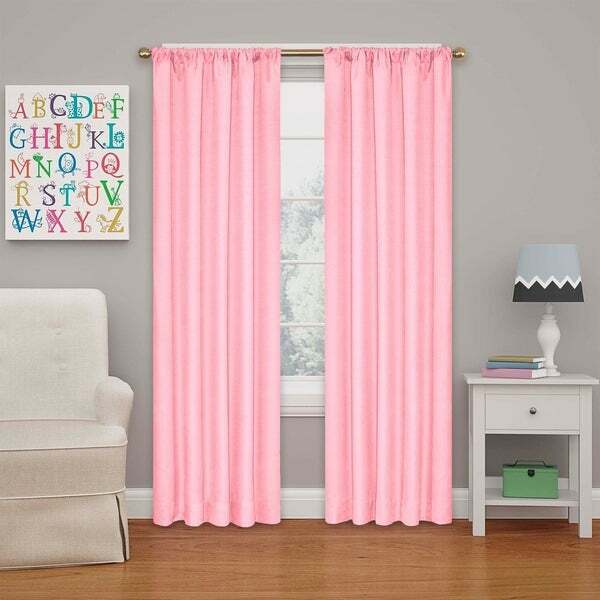 The curtains are the perfect pink and just like in the photo. They are also the right length. The one problem with them is that they are not "blackout." The light definitely comes through. 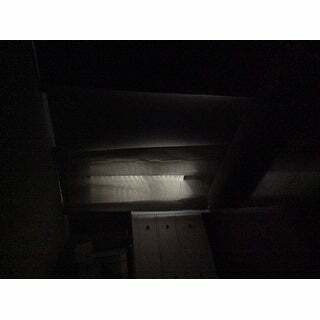 I've had true blackout curtains before and they are coated on the inside with a thin rubber to completely block any and all light. So these do not do that, but they are pretty and as mentioned, I love the color, so we will make due with them. When pulled shut in front of our closed silhouette shades, it's dark enough and cozy in our guest bedroom. But they should not be called "blackout." Very heavy material. Worried it will pull curtain rod off wall. Does not block out light. Second set of 2 panels. Thought I was ordering 2 sets of curtains but only got 2 panels. So ordered 2 more now two windows done and looking good. Beautiful color and blocks out a good bit of light. Mine was in yellow and I imagine the darker colors would do a better job of doing that. Lovely curtains! Great for blocking out light! Bedroom has lots of windows with street light outside. These curtains did the trick! Very nice curtains. These curtains are thick and block out light and heat/cold. Once the wrinkles come out the hand nicely. Ordered these for my granddaughters bedroom and they are beautiful! We did still have to add another blackout shade behind them as we wanted the bedroom with no daylight coming in. Other than that,color and material were very nice and a good value ! Love the color yellow. Matches the room theme perfectly. The price was great and the material was good. The length was just perfect. I like the curtain over all. These curtains have a nice weight and drape and effectively block out sunlight. They are great and provide great heat reduction. Nice thick fabric. Great quality. "do the curtains come with tie backs?" No these do not come with tie-backs. Liked the price and was looking for blackout white rod pocket curtains! "Does this come with 2 panels or 1?" "What is the actual color of "bouquet"?" The bouquet color, for the Eclipse Kendall Panel, is like the color pink.